DHX Media is celebrating a raft of new deals for its portfolio of popular children’s properties across the Middle East and Central, Eastern Europe as well as Turkey. Chellomedia Central Europe has renewed season one and licensed season three of DHX’s popular pre-school show Martha Speaks to broadcast in Hungary, Romania, Czech Republic and Slovakia. Meanwhile in Croatia, RTL has picked up animated trio, Arthur, Johnny Test and Caillou. Further deals have seen the Arab broadcasting network MBC Group sign up a raft of shows including The Zack Files for its MBC3 channel, while Polish VOD channel Onet has also signed Martha Speaks, Johhny Test and Sabrina’s Secret Life. Across Turkey, Yumurcak TV has acquired season five of Caillou and is also home to Ella the Elephant which is set to air in the spring. 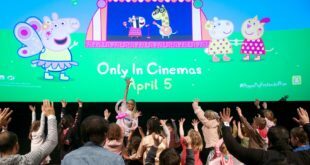 Further pre-school deals sees Arthur sold to the public broadcaster Irib in Iran and In The Night Garden acquired by Prime Media in Kazakhstan. 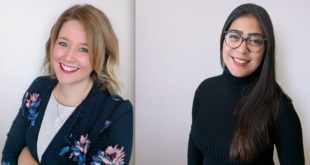 Sophie Prigent, territory management for DHX Media, said: “The Central and Eastern Europe, Middle East and Turkish regions are burgeoning markets for our programming, particularly in pre-school animation which is proving to be consistently popular.